In line with its pioneering spirit and ambition to be a reference law firm as regards innovation, Gide is pleased to announce the arrival of a new team dedicated to offering strategic, legal and regulatory advice on all matters related to its clients' digital transformation. Headed by Franck Guiader, with Jennifer D'hoir and Matthieu Lucchesi, this team of experts in the fields of regulation, innovation and strategy aims to offer "augmented" advice on changing business models and new behaviours that are deeply affected by the development of advanced technologies. The team will also offer high-end support to help advance the changing legal and regulatory framework both in France and abroad, whether ongoing or to come. Gide 255 covers in particular the growing stakes of blockchain, ICOs, artificial intelligence, automation and various aspects of data processing. The recognised know-how of all Gide teams as regards business law, combined with the comprehensive experience of this new team on all challenges pertaining to digital transformation, together enable the firm to offer its clients a unique tool to help decision-making processes in a context that is disrupted by the advent of breakthrough technologies. Gide senior and managing partners, Xavier de Kergommeaux and Stéphane Puel, state: "The highly strategic nature of the challenges of digital transformation for our clients must drive us to reconsider our advisory role and strengthen our know-how by acquiring new skills that go above and beyond our traditional practice areas. 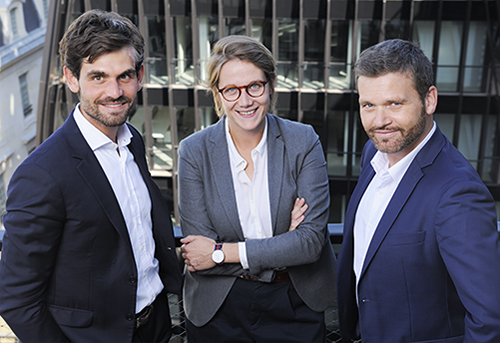 With Franck and his team, we are looking to offer a high level of legal and regulatory expertise, combined with digital transformation strategy. In short, Gide 255 is the best of both worlds." For Franck Guiader, head of Gide 255: "Transforming is no longer just an option. It is a reality for some, and a matter of urgency for others. The incredible rise of the digital economy offers fantastic development opportunities, both on a national and international level. With the wealth of opportunities opening up, we will work alongside public and private players, sharing with them our enthusiasm and vision of the digital world that drives us to rewrite the rules, co-build, and reinvent client relations". Franck Guiader, 41, is an expert in innovation regulation (marketplaces, blockchained services, ICOs, roboadvisors, crowdfunding platforms, AI). He is also a leading player in the development of the Paris financial market (creation for the French Financial Markets Authority (AMF) of the FROG initiatives, Agility and Unicorn programmes, and ICO management). Franck began his career as a financial analyst at Lazard in 2001. He then joined BNP Paribas in 2003, and Euronext in 2006. In 2011, he joined the AMF's Asset Management Regulation division of the Regulatory Policy and International Affairs Directorate, before becoming its head in 2015. In May 2016, Franck became head of the AMF's new FinTech division, Innovation and Competitiveness. He also co-led the AMF-ACPR FinTech forum with the supervisory authority. Franck holds a postgraduate degree (Magistère) in Banking and Finance (2001) and a Master's degree in financial techniques from Paris II Panthéon-Assas University. He is also a graduate of Neoma Business School (2006) and of Paris V René Descartes University in applied mathematics (1998). He lectures on European regulation at the Institut de Haute Finance and at Paris I Panthéon-Sorbonne University. Matthieu Lucchesi, 32, specialises in legal and regulatory strategy in the field of innovation. Matthieu started his career in 2011 as a lawyer within the New York office of Sullivan & Cromwell LLP, before joining the French Financial Markets Authority (AMF) in 2012. In 2016, he became head of its Asset Management Regulation division. In early 2018, Matthieu became head of public affairs for BNP Paribas Asset Management. Matthieu holds a postgraduate degree (Magistère) in business law from Paris II Panthéon-Assas University (2009) and an LL.M. from Harvard Law School (2001). He is admitted to the New York Bar. Jennifer D’hoir, 33, specialises in influence strategy, lobbying and international negotiations. She joined the European and International affairs division within the Regulatory Policy and International Affairs Directorate of the French Financial Markets Authority (AMF) in May 2013. From 2015 to 2018, she was the Head of the International Affairs Unit within the AMF. Her assignments included coordinating the AMF's actions within international financial regulation bodies (in particular the Financial Stability Board (FSB) and the International Organization of Securities Commissions (IOSCO)) and led cooperation actions with foreign regulation authorities. Prior to joining the AMF, Jennifer was Chief of Staff and EU Regulatory Affairs manager for Mazars. She began her career in 2009 as a parliamentary attaché at the French Senate. Jennifer is a graduate of Sciences Po Paris (2008). She lectures within the Sciences Po Paris Law School and teaches students at Master's level in law and market regulation at Paris Dauphine University.